Residents of the Herb Bassett Home celebrated the purchase of about 50 chairs and 20 tables on Tuesday. 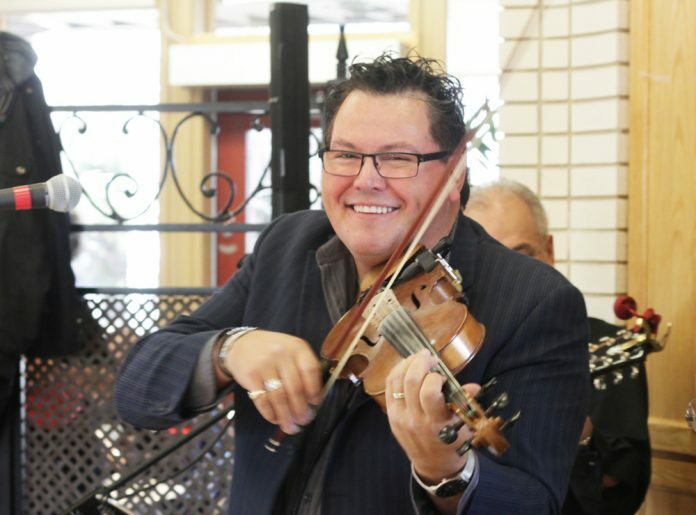 They were treated to the music of Donny Parenteau, who helped raise money for the furniture during his “fiddle frenzy” event last year. Redhead Equipment also pitched in, donating the profits made off 140 acres of canola. All in all, the two drives raised more than $56,000 for the long-term care home. Residents had long been complaining about the poor quality of furniture during their resident council meetings, said Herb Bassett Home staff member Jen McDougall. But brand new tables and chairs for a 144-bed care home don’t come cheap. For more on this story, see the April 5 print or e-edition of the Daily Herald.